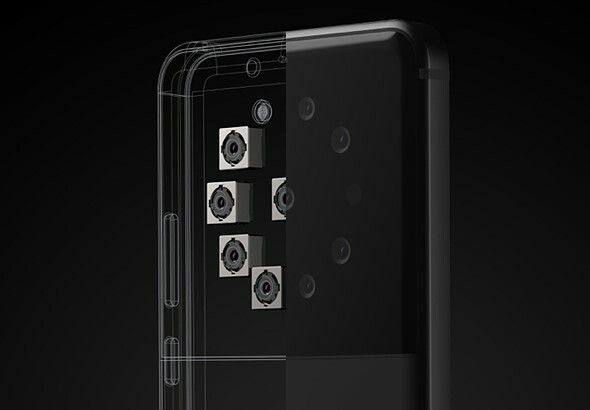 Light previously announced its intentions of bringing its multi-camera technology to smartphones, going so far as to show off various concepts and prototypes it’s developed that include between five and nine camera modules. Bradley Lauterbach, Senior Vice President of Marketing and Product Design at Light, also said back in December 2017, ‘one manufacturer is already at work on a Light-enabled phone, and more are in the works.’ It’s unknown if Lauterbach was referencing Sony, but whoever the manufacturer was, it appears clear now Sony will be the company behind the sensors. SAN FRANCISCO, Feb. 21, 2019 (GLOBE NEWSWIRE) — Light, the leader in advanced computational imaging announces the agreement with Sony Semiconductor Solutions, the leader in the Image Sensor industry to jointly work on development and marketing of multi-image sensor solutions.